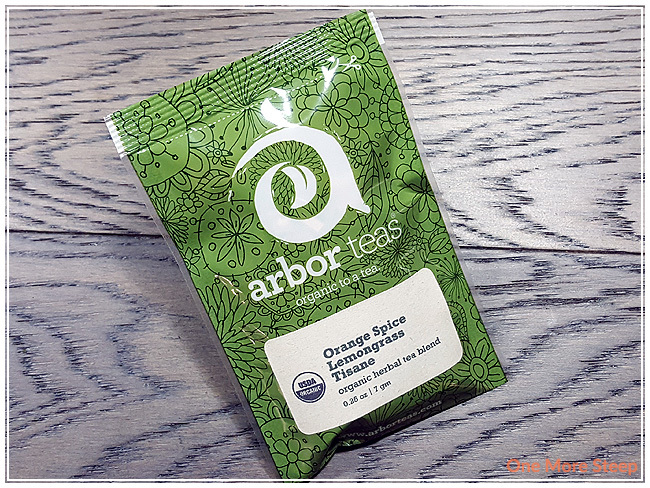 Arbor Teas has provided me with Orange Spice Lemongrass Tisane for the purposes of providing an honest review. I received this product at no charge to me and received no other compensation. 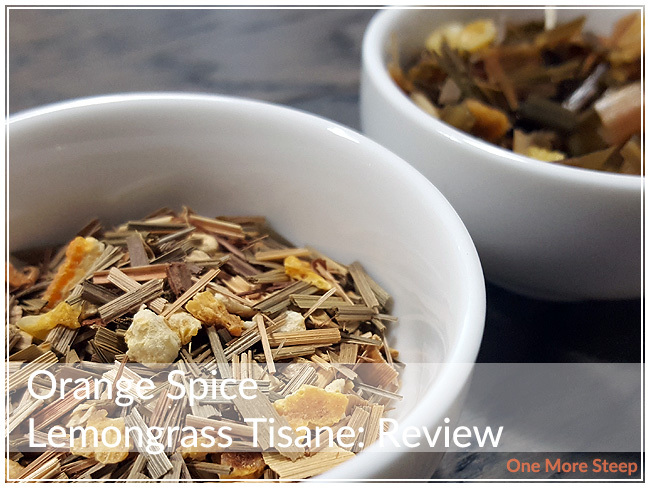 When I read the list of ingredients for Orange Spice Lemongrass Tisane, I was thinking to myself that I needed to keep this for when I have a sore throat or an upset stomach. 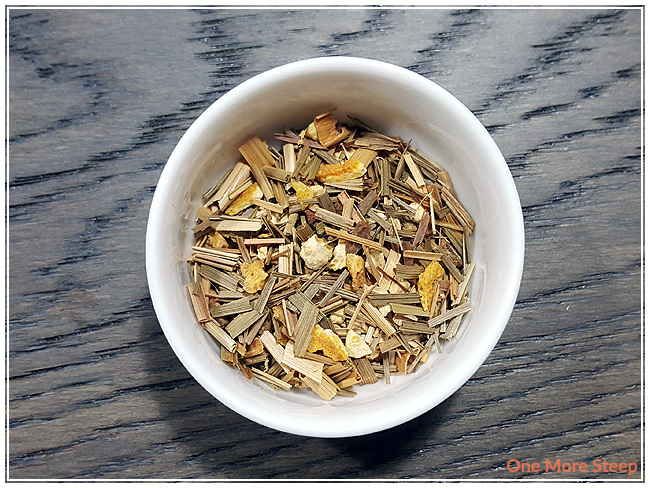 The ingredients that make up this herbal infusion are: organic lemongrass, organic orange peel, organic cinnamon, organic ginger root, and natural cinnamon and orange flavouring. Typically, you can find a lot of lemongrass and ginger in herbal infusions that are meant for people feeling a bit under the weather. I know that for me, growing up, my mom made a lot of batches of ginger tea that had a bit of lemon and not quite enough honey to kill the spice of the ginger that she would slice up to put into the water. That said, let’s get into it! The packaging is the same as the other sample that I received from Arbor Teas (Silver Needle), so I won’t be getting into about how their packaging is very cool and compostable (which I think is fantastic for the environment). This blend has a great lemongrass aroma to it as soon as I cut open the packaging. The lemongrass, orange peel, ginger root and cinnamon are all very obvious visually in this blend, with lemongrass clearly being the star. I can smell the lemongrass, orange, and ginger. It definitely reminds me of the lemon-ginger-honey ‘tea’ that my mom would make for me when I was sick, this leads to a very comforting feel the aroma of this blend. Arbor Teas recommends steeping Orange Spice Lemongrass Tisane in boiling (100°C/212°F) water for 5 to 7 minutes. My initial steep of Orange Spice Lemongrass Tisane was for 6 minutes. The nice thing about this being an herbal infusion is that you can’t really “oversteep” this. With tea blends that have tea leaves in them, you run the risk of ‘burning’ the leaves or oversteeping them, which can lead to very bitter or very astringent cups of tea. With herbal infusions, there are no tea leaves so you can’t really do much damage to them. That said, the longer you steep this blend, the more intense the ginger and cinnamon flavours will be, which may lead to a spicier cup. 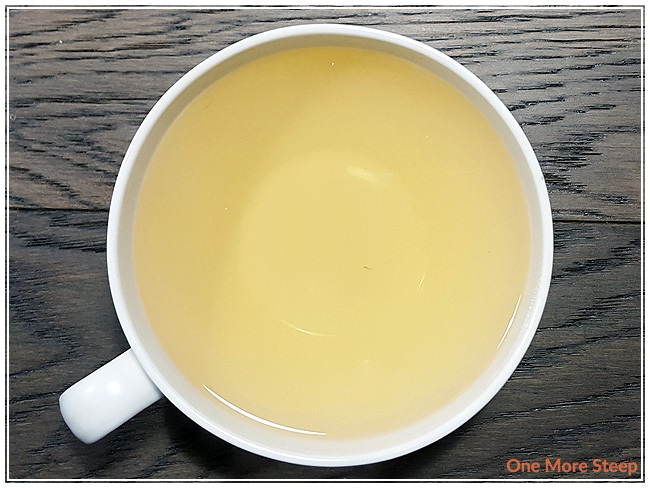 Orange Spice Lemongrass Tisane has a very bright fragrance to it – the orange and lemongrass play nicely together in bringing forward bold citrus scents, while the ginger is in the background with just a hint of spice. I can’t really smell the cinnamon after this has been steeped, but that’s fine by me as I didn’t really smell it in the dry leaf either. This herbal infusion steeps to a nice bright yellowy-orange, I quite like it! It’s a very cheerful colour. The taste is primarily lemongrass, with hints of orange and ginger. The ginger has a bit of spice to it, which was to be expected. I typically don’t resteep herbal or fruit infusions, but I did try this one for a resteep. I found the flavours in the resteep to be very mild compared to the initial steep. The impact of the lemongrass wasn’t as strong, and the orange was hard to find in my cup. The ginger wasn’t as strong either, which led to it being a bit disappointing. I would say that this tisane is good for one steep. I thought that Arbor Tea’s Orange Spice Lemongrass Tisane was just okay. This isn’t an herbal blend that I would have picked out for myself, mostly because of the lemongrass and ginger. It definitely does make me feel like I should have an upset stomach or be feeling under the weather while having this tisane because of what my mom used to make for me when I was sick. That said, the lemongrass and ginger flavours are strong and they go very well together. The longer you steep it, the stronger the ginger flavour will be in the resulting cup. 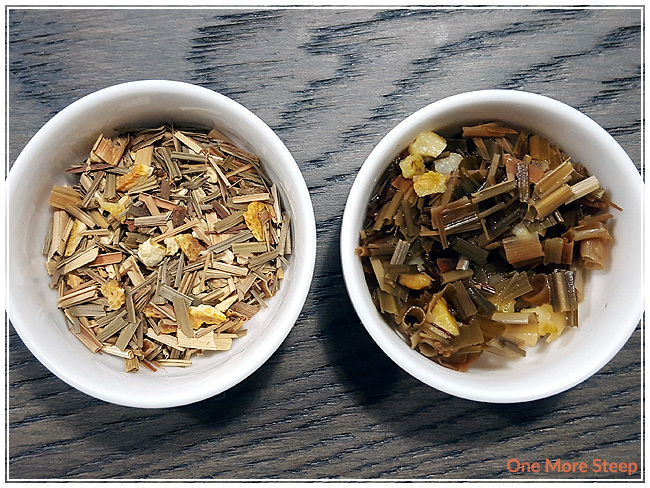 I think that Orange Spice Lemongrass Tisane would be great if you’re looking for something to tame an upset stomach, or if you’re looking for a caffeine-free alternative to tea or coffee.